Madrid is an amazing city. 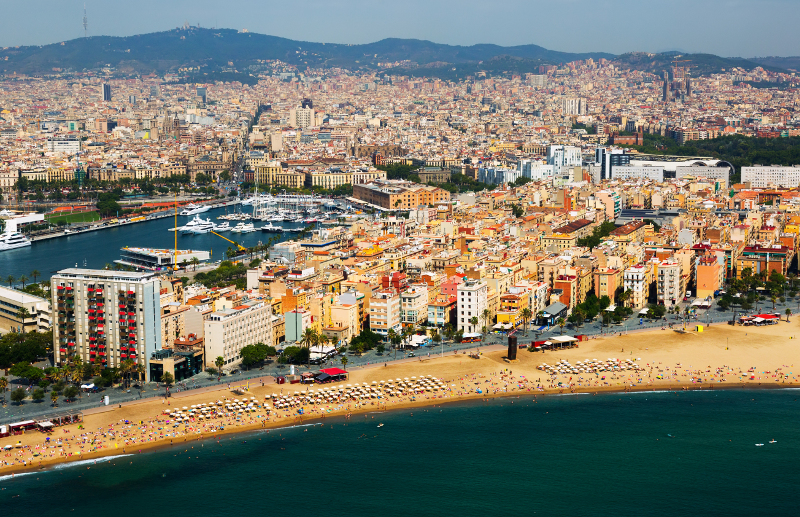 The capital of Spain is well known for its varied cultural life, its beautiful churches and its incredible art museums. 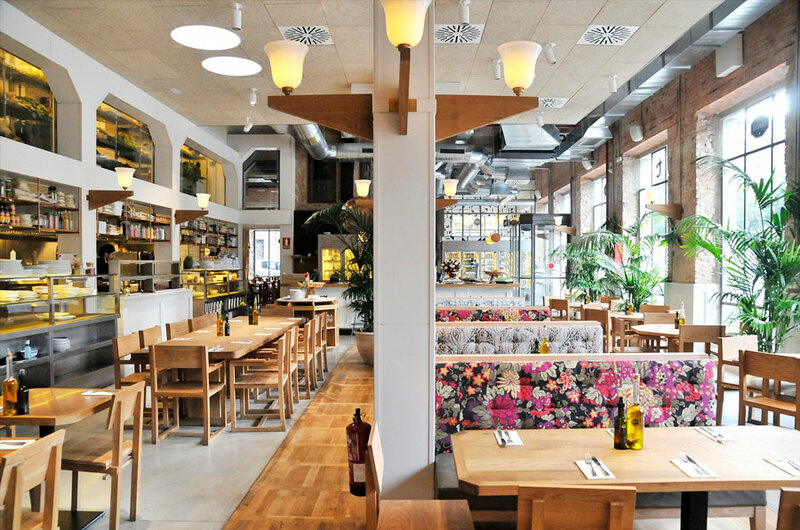 As virtually every Spanish city Madrid features a colorful and exciting local festivity. Madrid’s Fiestas de San Isidro honor the patron saint of the city. It is usually celebrated during the second or third week in May. For several days the capital of Spain becomes one big space full of gaudy music shows and thrilling art events. If you travel there during those days, maybe staying in Aspasios Atocha Apartments, you will have the opportunity to enjoy The Fiestas de San Isidro – Madrid’s Most Authentic Festival. Originally, the Fiestas de San Isidro were closely connected to the religious tradition. According to popular belief, Isidro, who lived in 11th century AD, had the divine gift of finding water easily – something very important for farming in the dry climate of central Spain. Thus, there is no wonder that the fount he had supposedly discovered became a meeting point for farmers from surrounding villages. In the 16th century, when Madrid became Spain’s capital, local residents built a small church to honor the miraculous water-finder. At that time, people also began to gather here during afternoons in May to spend their spare time with food and drinks. Slowly but steadily, the day become more and more important. Finally, in the 19th century the Fiesta de San Isidro became Madrid’s chief local holiday. San Isidro traditions go back to the late 18th century. 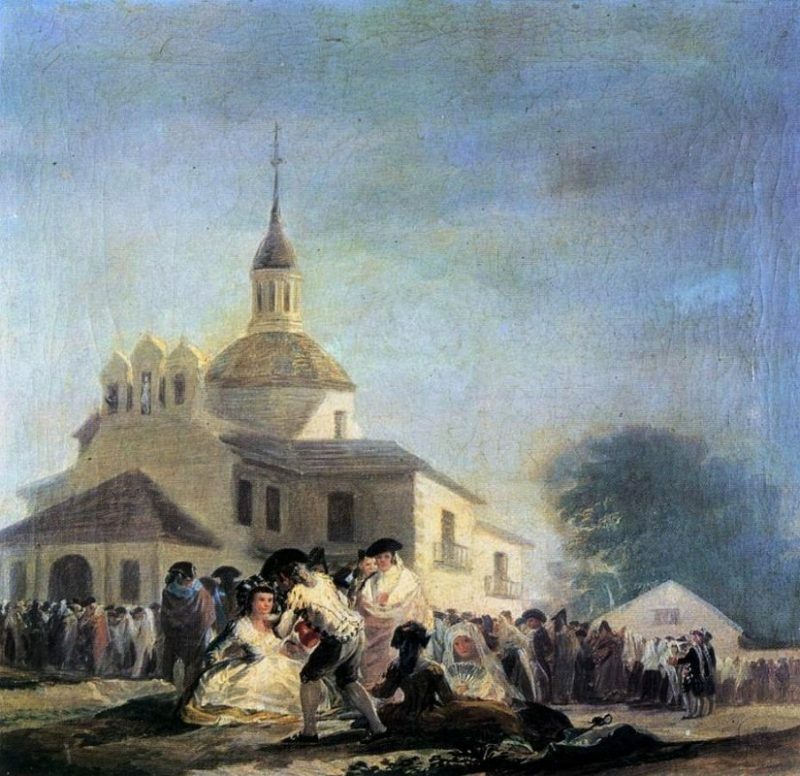 Goya painted a typical San Isidro promenade in 1788. 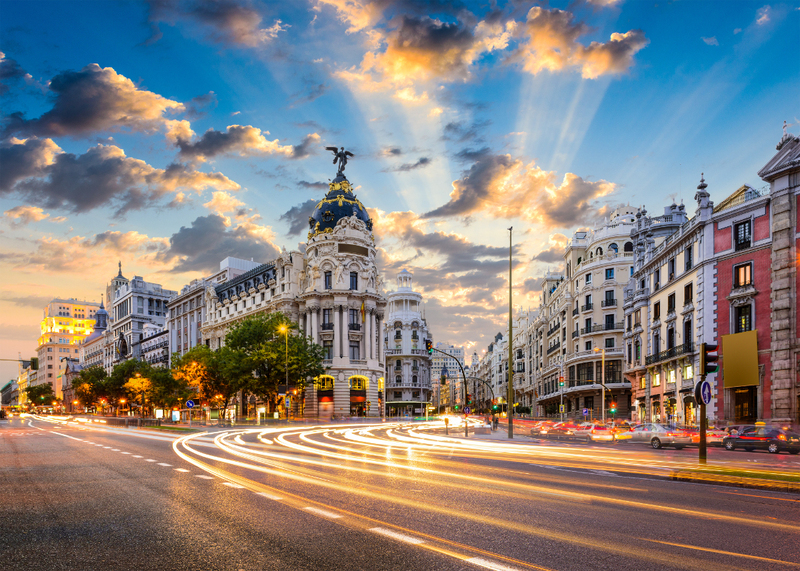 And in the mid-19th century the well-known Spanish novelist Benito Pérez Galdós described how people from everywhere in Spain came to Madrid to celebrate this parish fair on May 15. 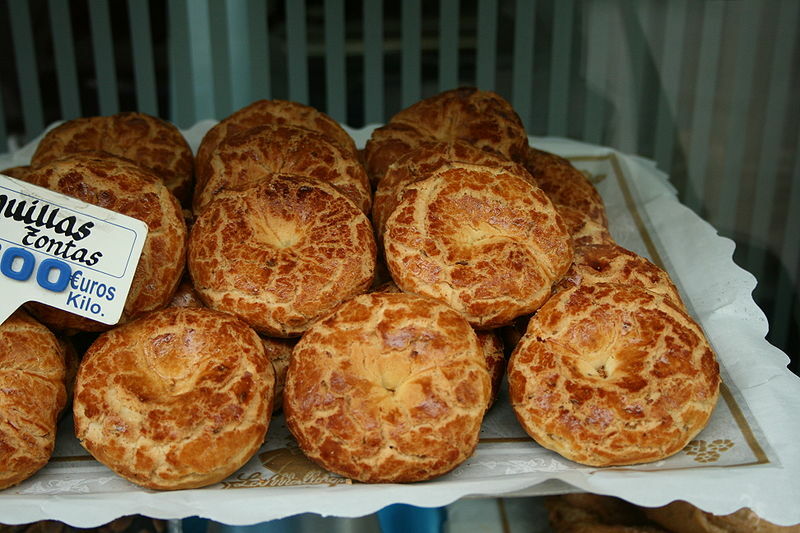 On this day people traditionally eat different kinds of pastry. The so-called rosquillas del Santo are probably the most famous ones. You can try different types of these delicious donuts covered with a sugar coat, almonds or meringue. 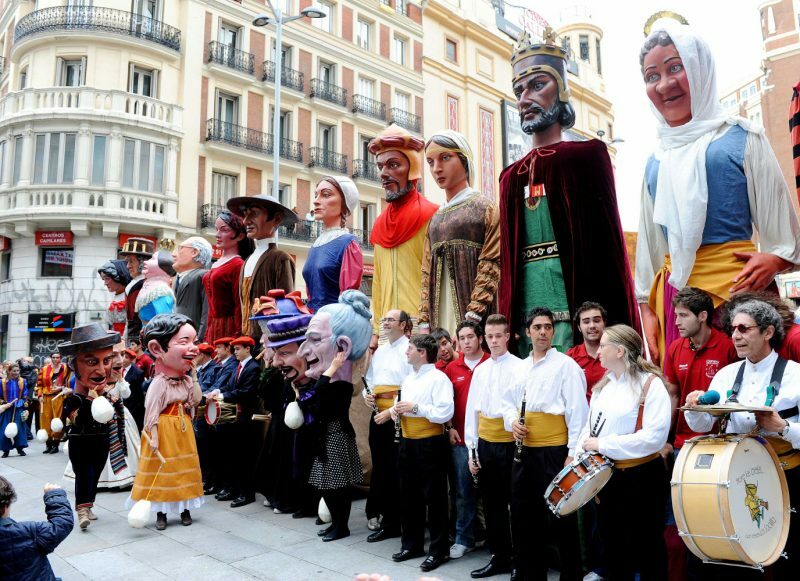 Another longstanding San Isidro tradition is a street parade of giant figures made of papier mâché. The so-called pasacalles de gigantes y cabezudos usually runs along Madrid’s main streets finishing at the Plaza de la Villa. During the last years, the Fiestas de San Isidro has expanded its program significantly. Thus, the traditional holiday has become a colorful modern festival with concerts, fireworks and other cultural events that attract both locals and tourists. And while those interested in Christian traditions can still go to the San Isidro chapel, others have the opportunity to enjoy such activities as Traditional Madrid Dances, the Pottery Fair and of course the delicious local food, such as the traditional cocido madrileño. The best thing of all: during the Fiestas de San Isidro the whole of Madrid is even more open and welcoming than it is anyway. So you can be sure that it’s going to be an unforgettable experience.